This post is Part 6 of a series to augment the Atlas of the Known World available for free download. Start with Part 1 here. Northern reaches of dragons and men. You voted The Draconan Mountains winner of November 2015 by 87%. 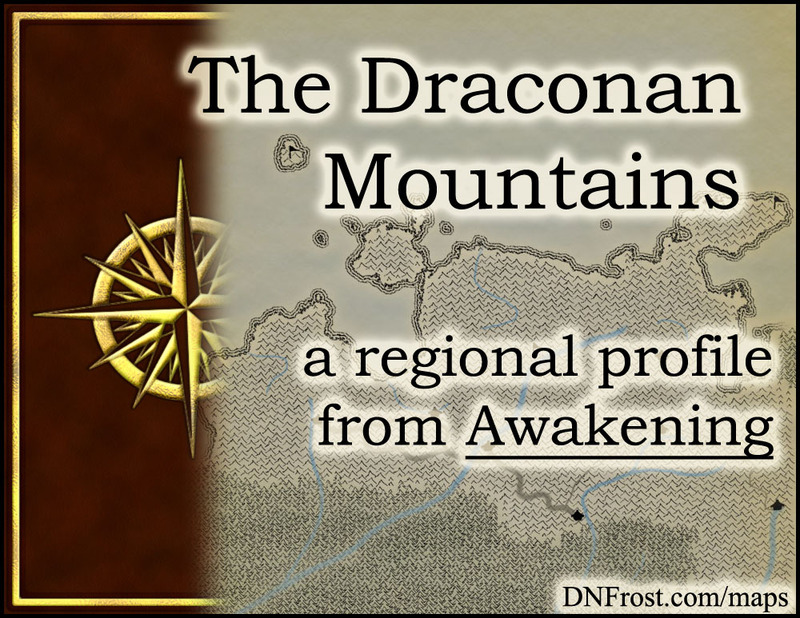 In Chapter 4 of Awakening, the Draconan Mountains crown the northwest edge of Allana. Spanning north of the D'jed Mountains and out to the sea, the Draconan Mountains form the northern border of the Forests of Kalrein. Its tallest peaks sit nearest the D'jed range, and they descend in elevation toward the coast. When the mild, breezy summer gives way to bitter winter cold, valleys are snowed into isolation, with the exception of a few mountain passes kept open year-round. This region also borders the North Sea, Drake Bay, and the Forest of Glavi. Clinging to the windy slopes of the mountain peaks, stub pines mark the treeline with their gnarled branches, and packs of drake wolves meander the rocky climes in search of spectacled ibex. In the valleys, hardwoods and black pines proliferate in the wild spans between hardy orchards bearing apples, cherries, and pears. Vineyards of hops are a common sight, especially in the low-lying valleys near the edges of the Draconan Mountains, where barley cultivation replaces the orchards that thrive at higher altitudes. In the most remote reaches of the Draconans, wild dragons nest in large clans up to one hundred strong. Dragons never stop growing, and each dragon can live for over a millennium, subsisting mostly on fish and whales but also hunting black bear and wolf on occasion. The humans of the Draconan Mountains are rather tall and broad, with fair skin and dark hair. Their villages populate the mountain valleys, and each is closely allied with its neighbors. The people of the Draconans are loosely allied with the elves of the northern D'jed, with whom they do some trade. However, the Draconan humans have very little contact with the faeries of Kalrein or Glavi, and while they do not engage in the blood feud between the faeries and the mountain elves, they tend to sympathize with the elf traders rather than the occasional vagrant faerie. Often isolated from neighboring valleys in winter months, the people of each valley have developed their own styles of dress, but they generally wear woolen undergarments and outerwear of sturdy canvas. Draconan men are excellent sensory mages. Their Flavor magic is quite potent, and their latent Light magic is decent as well. While their special magic is not as powerful, it is not unusual for a Draconan human to display reasonable Animal magic. Most Draconan men with an aptitude for Animal magic venture into the remote reaches of the mountains in search of nesting dragons, in the hopes of connecting with a young dragonet. Though their elemental powers are slightly stronger than the men of other regions, the humans of the Draconans display Earth and latent Dark magic that are fair at best. The humans of the Draconan Mountains hold sustainable living and self-sacrifice as the highest virtues. Families are loosely patriarchal, with surnames derived from the father's father, and important decisions are usually made by the men of each clan. Family ties are all-important to the Draconi people, and each village is governed by a council of the valley's oldest patriarchs. It is most offensive to insult a person's lineage or family, particularly the family elders or circumstances of a person's birth. Due to the lack of elemental and special magics for the Draconan humans, magic plays a fairly minor role in mountain life. Still, magic is associated with reds and browns, likely due to the connection between food and the Flavor magic common to the area. As with most of the Allanic Empire, the people of the Draconans measure age in years. They celebrate the new year on the winter solstice, as per the solunar calendar of the ancient merfolk, which is the empire's official calendar. In the Draconans, children come of age early. Girls are considered women at first blood, and boys ascend into manhood at the age of thirteen, provided they lead a hunting team into the mountains and return with meat for the family. Successful boys are celebrated with a large party, with friends and relatives trekking in from neighboring valleys to attend. As adults, men are expected to develop a homestead on the family's land, as well as marry and produce children to share in the work. Adult women are responsible for cleaning the home, cooking food for the family, and raising the children. Usually, all the wives and daughters of a clan come together each evening to cook, exchange advice, and mend clothing. Since the hardy denizens of the Draconan Mountains can fend for themselves, there is little need for warriors or guardians amid its windswept peaks. However, a guild of dragon riders has traditionally patrolled the mountain ranges, protecting the dragon nesting grounds and serving as ambassadors to humanity from their dragon friends. While Animal magic is not uncommon, the ability to speak to a dragon is rare, and the privilege to hear the dragon's reply is rarer still. These gifted men and women are invited into the Rider's Guild, where their abilities are honed and the inductees are prepared to venture into the mountains to connect with a young dragonet. If an inductee's abilities are too weak, the dragons will kill the intruder to defend their children. If the dragons can hear the inductee's communications, he is allowed to meet the clan's adolescent dragons and leave unharmed. If a young dragonet feels a bond with the visitor, she may choose to follow him back to the guild, and it is this friendship that elevates the inductee to a full member of the Rider's Guild. Trophek, the heritage language of mountain men, is long extinct in the Draconans, though it is still spoken further to the east. The Draconi now speak Allanic as their native language. Though Allanic is the lingua franca of the empire, the Draconan dialect is a bit more tuneful and relaxed than the Allanic spoken in the neighboring D'jed Mountains. Written in the elvish script adopted by the empire, the Allanic of the Draconans features some odd words and vowels with specific tones, considered by scholars to be the last vestiges of their dead ancestral language. Moreover, the Draconan peoples tend to write their Allanic phonetically, so their spelling differs from official Allanic and can be difficult for non-locals to read. 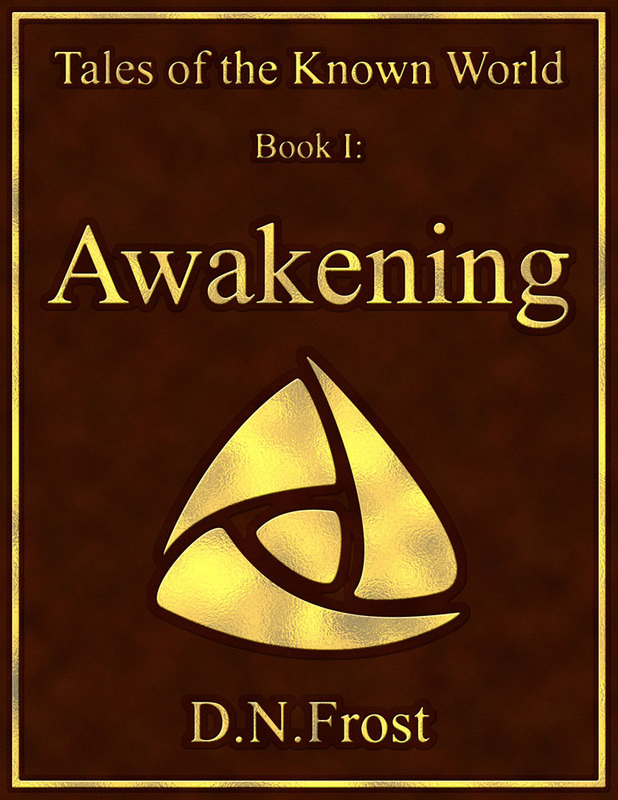 In the book Awakening, Darek is a boy who lives on his uncle's homestead. A shape-shifter by birth, Darek faces persecution. Imperial mages track him down, invading his cabin in the night and killing his family when they refuse to give him up. 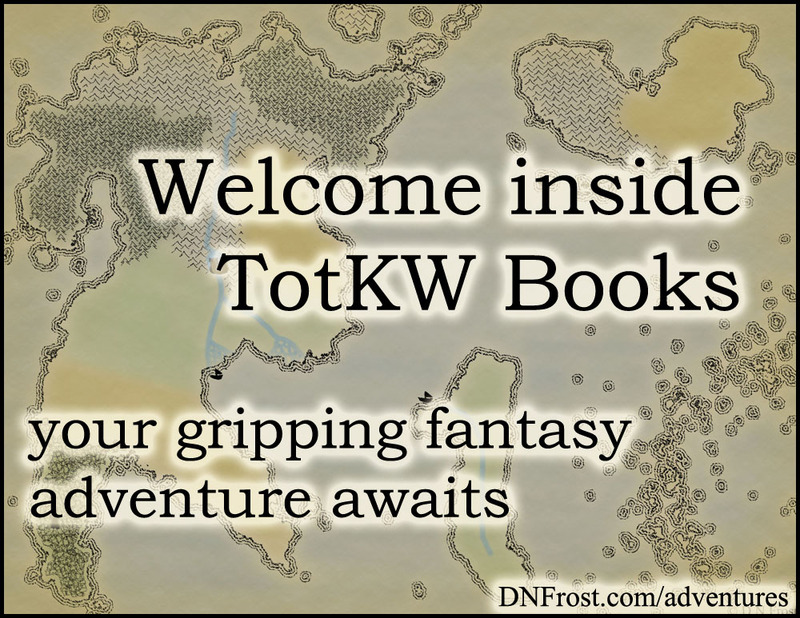 After Darek escapes with little hope and no plan, he bumps into a vagrant faerie named Vithril and a surly elf named Kingard. Darek's new friends protect him on a perilous journey through imperial lands, guiding him along their quest to reach the mythic city A'lara before they're discovered.